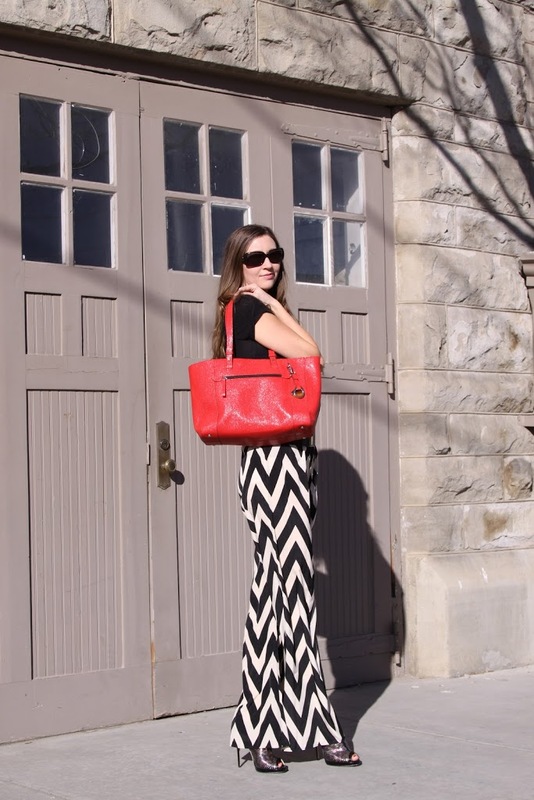 I’m always in search for the perfect bag for spring. I love a bright cheery bag, in fact its rare that I ever go for a bag void of color. Spring calls for a show stopper! Its finally time to start shedding the layers and what better way to show off your new spring look them with the perfect bright tote bag! 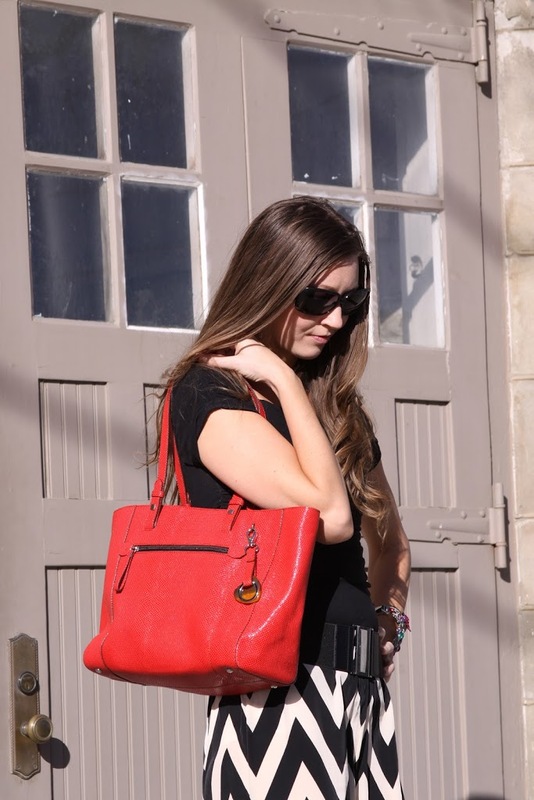 I recently got my hands on this GORGEOUS Barr + Barr Cherry Lizard Embossed Leather Tote Handbag and I am in love! This is my second Barr + Barr handbag to own (See my Review on my Mustard Satchel HERE) and I have been nothing short of impressed! 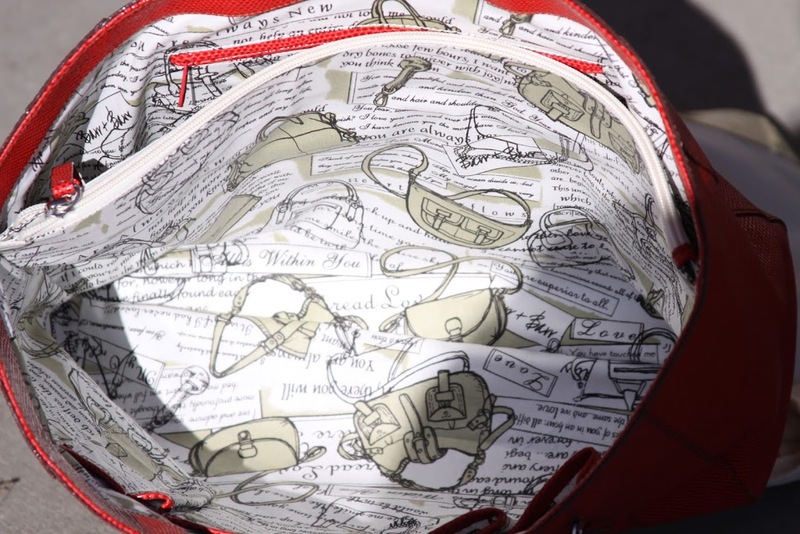 These bags are so beautifully hand-made, and are of exceptional quality! Every Barr + Barr Handbag is made by hand and has gorgeous hand-woven details as well as silk threaded stitching. Each bag includes a cute heart signature key fob, and is pro-enviorment by not including nickel in the hardware, and azo and chrome in the leather. 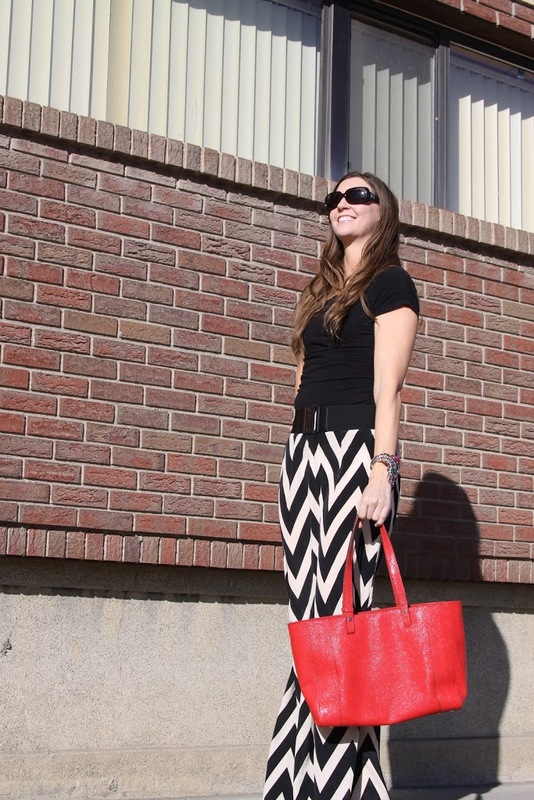 I found this beautiful Barr + Barr Cherry tote to be both eye-catching as well as perfect for carrying everything I needed! I love the size and all of the inside pockets that make it great for organizing! I absolutely adore this cute love letter print they put in all of the inside of their bags too! They are super fun to read, and hey the perfect entertainment if you’re sitting there waiting at a doctors office, or at the grocery check out! There are two big zipper pockets including the one big one in the middle, perfect for a laptop or ipad, as well as an outside zipper pocket you can see in the picture above. It also as a cell phone pocket and three other same-sized pockets on the other side of the bag (on the bottom of this picture). 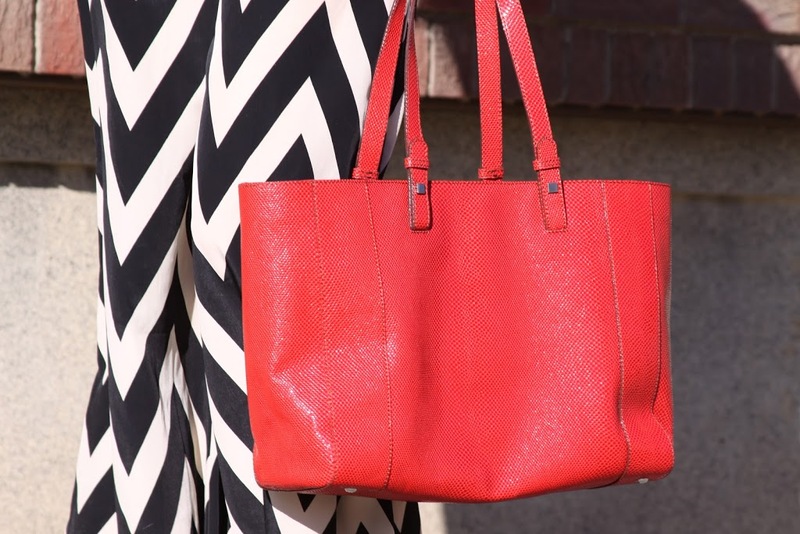 As you can probably guess since I get bored with lack of color when it comes to my handbags, I also get bored of the same old textures too, which is why I really fell for the Barr + Barr Cherry Lizard Embossed Leather tote! The lizard texture is absolutely fabulous, fun to look at, and feels amazing in your hands! Bet you’re dying to get your hands on one of these beautiful bags by now! You can purchase Barr + Barr handbags at HSN or at their website, BarrandBarrHandbags.com. They have an amazing sale going on right now you don’t want to miss! 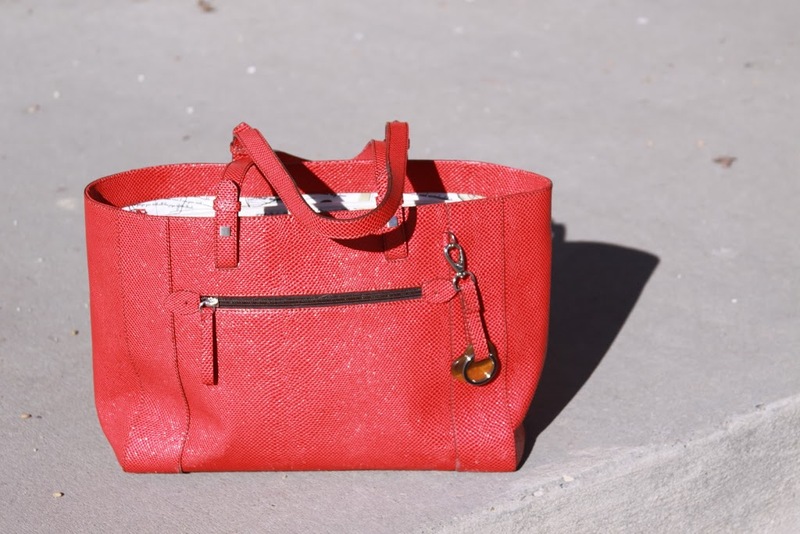 Also be sure to like Barr + Barr on Facebook to stay updated on the rest of their beautiful bag and shoe collections! Get Your Glam Style Back with Rickety Rack! I just found this Ahh-Mazing boutique this week on Facebook, and I’m DYING to shop it! 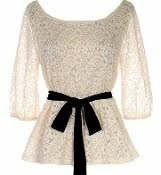 RicketyRack.com – Fabulous, glam fashion sure to make you Merry! 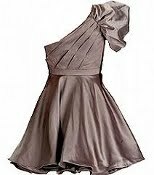 This gorgeous, high fashion little shop sells the most glamourous dresses, chic tops and flirty skirts, on-trend bags, shoes, and gorgeous outerwear as well. Be sure to check out their Sale Rack for stunning pieces for only $30-$60! As soon as I make Christmas returns this year, you can bet I’m going to be spending my money at Rickety Rack! I already have my eye on a couple of the dresses above! 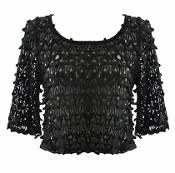 To check out this trendy, fashionable site, visit www.ricketyrack.com. Also be sure to like Rickety Rack on Facebook and get in on their HUGE Christmas giveaway going on everyday!